A Parish Plan is a document setting out guidelines for the provision of new or improved facilities and services and is generally based on the collated aspirations of residents gathered from as wide and representative a group as possible. A Parish Plan provides an action plan giving details of who should take each action forward and the timescale. The Plan is distributed to the County and District Councils, other relevant service providers and all residents. Together with the Parish Council all of these groups may be involved in achieving the aims of the community. A Parish Plan is about all facets of community life and should not be confused with a Neighbourhood Plan which is an aid to the planning process and sets out planning policies for the neighbourhood area. It too would be written by the local community, in this case, as a tool to ensure the right types of development, in the right place. Through a Neighbourhood Plan local people are able to develop planning policies that reflect their priorities for their area, policies that would have real legal weight. The whole community would then decide, at a referendum vote, whether the local authority should bring the plan into force. Writing and adopting a Neighbourhood Plan is a very time consuming and costly process involving various formal procedures that must be gone through before it can be adopted and assume real legal force. 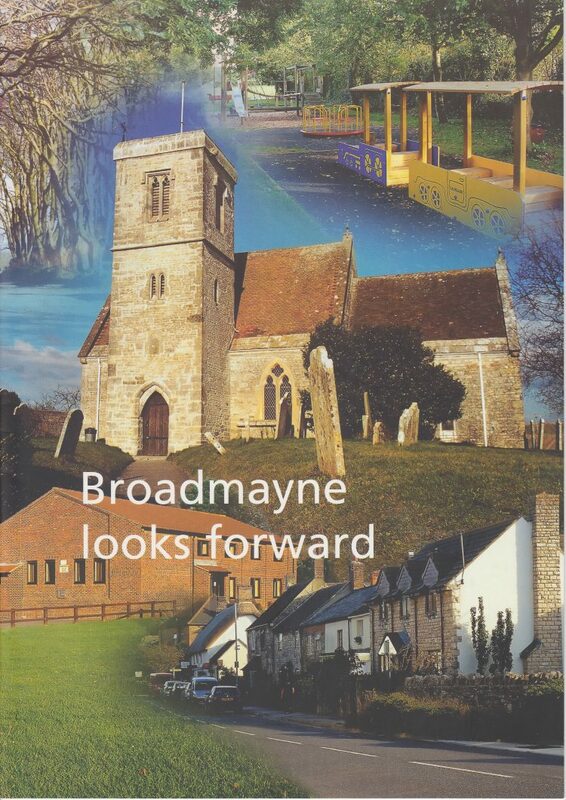 So far Broadmayne has not seen it possible or necessary to muster the resources to undertake a Neighbourhood Plan. 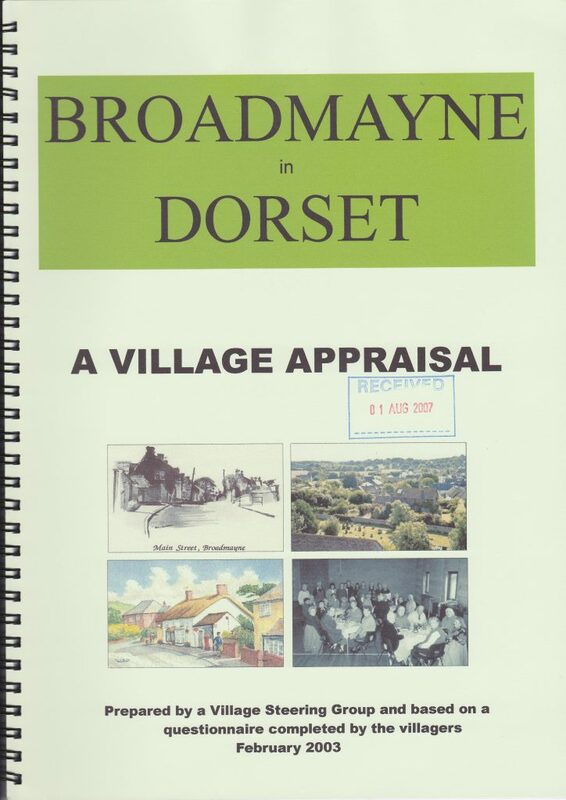 The first of Broadmayne’s Parish Plans was published in 2003 as “Broadmayne in Dorset – A Village Appraisal”. It was based on a questionnaire delivered to all households and returned by 891 (80%). Funding from The Countryside Agency enabled extensive analysis to be commissioned from a market research firm and an action plan was drawn up. 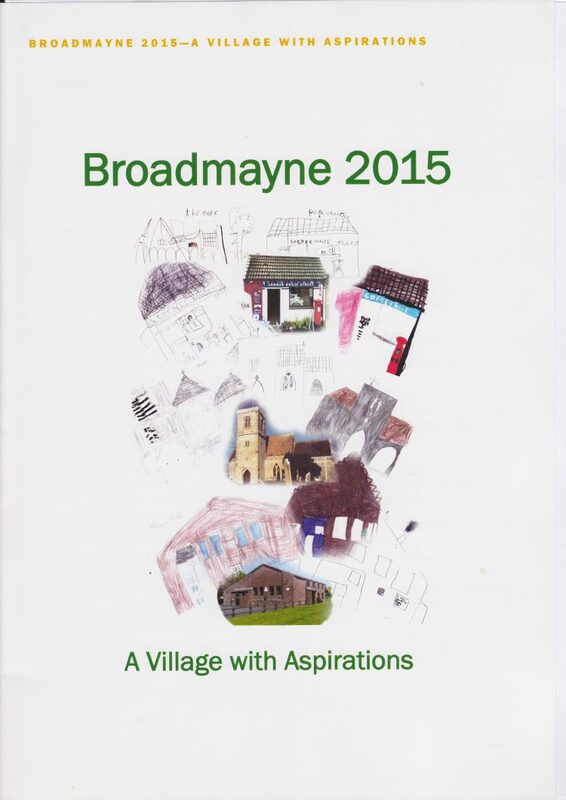 The third, and most recent, plan “Broadmayne 2015 – A Village with Aspirations” was based on the analysis of questionnaires returned by 68% of Broadmayne’s households in November 2014. As before, Road Safety (traffic, speed, junctions, etc.) came out as an area of highest concern and it is on this part of the Action Plan that the Parish Council has mainly focused its efforts since the publication of the plan.